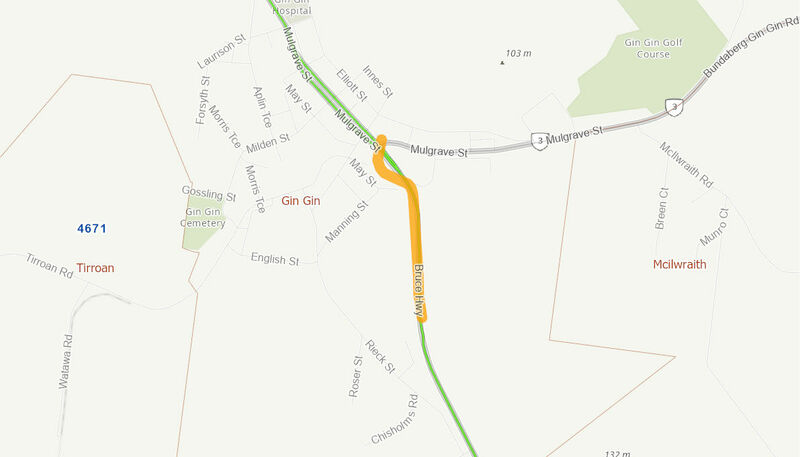 The project included the realignment of approximately two kilometres of the Bruce Highway on the southern approach to Gin Gin to reduce the gradient and the redesign of the Bundaberg - Gin Gin Road and Bruce Highway intersection. The project improved road user safety, travel time for heavy vehicles and transport efficiency. The Australian Government provided $16.8 million to the project. Construction commenced in November 2012. Practical completion was achieved in December 2013 and the project was fully complete in January 2014.